At the beginning of 20th century, the Balkans was identified as ‘the restless corner of Europe’. Many who attempted to explain what was actually going on felt like that the underlying reasons were not so easy to understand for the outside world. Good understanding of history will help you to connect the dots and see how recent conflicts have laid their roots in the past. Find out why there are so many misconceptions about Croatian war of independence, what it was like to live in a town under siege, and how slowly everything turned back to normal. Your guide will tell you about his experiences, the stories from the ancient and modern history. 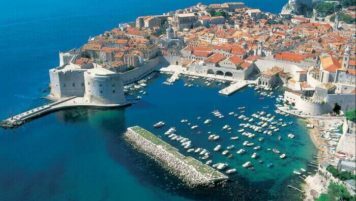 These Dubrovnik war stories will be told in the spectacular setting of the Old Town, and this will give you a much deeper uptake into the true nature of Dubrovnik and its local people. • The Big Onofrio’s Fountain located inside of the walled town (within the City Walls). Look for Dubrovnik Walking Tours representative with the red umbrella. 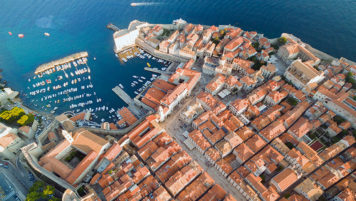 See where the best scenes at the King’s Landing were filmed. 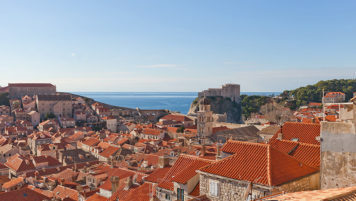 Experience the best of both worlds: the Discover Dubrovnik Walk and the Game of Thrones Tour! In just one hour a brief history of Dubrovnik will be revealed to you.